A mild take on a Mexican-inspired dish will excite your residents' taste buds just enough, without being too spicy. KNORR Mexican Chunky Salsa Mild and KNORR Pronto give a rich tomato flavour to the mince. Heat oil in a large frying pan over medium heat. Add mince and vegetables, cook until browned then add garlic, cumin, KNORR Mexican Chunky Salsa Mild GF and KNORR Pronto Napoli. Simmer until reduced, stir through kidney beans and cook for another 10 minutes. Season. Combine avocado, tomato and lime juice. Season. 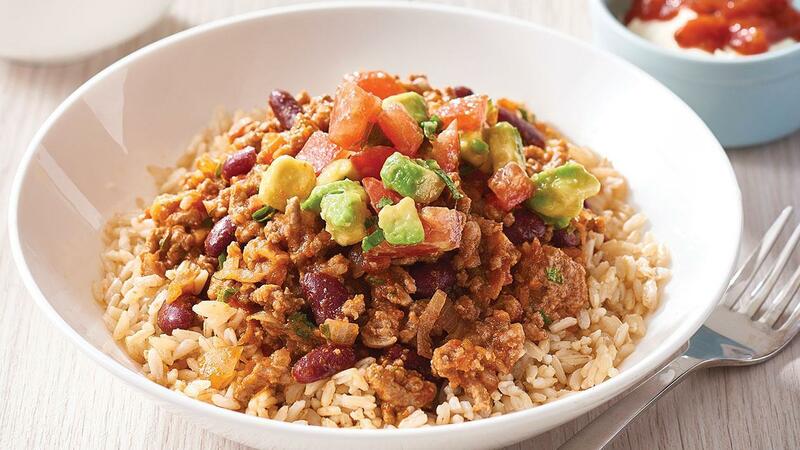 Serve Mexican Mince with brown rice and salsa. Serve with a dollop of sour cream and extra KNORR Mexican Chunky Salsa Mild. Add a little chopped coriander to the avocado and tomato salsa if desired.